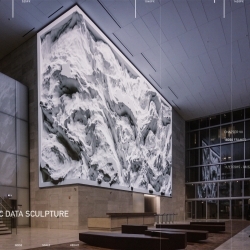 VIDEO‘Virtual Depictions:San Francisco’ is a public art project consist of series of parametric data sculptures that tell the story of the city and people around us within a unique artistic approach for 350 Mission’s media wall. 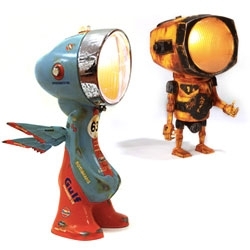 Bionic Bird: The Furtive Drone. 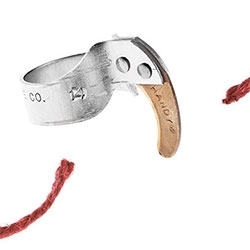 Inspired by the iconic 1969 TIM, the rubber-band bird. 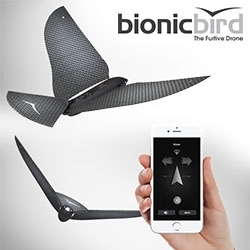 Bionic Bird is packed with micro-technologies weighing less than 10 grams. 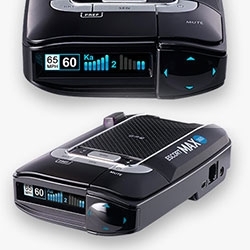 Control it with your smartphone. 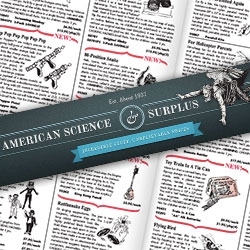 American Science & Surplus. Est about 1937. Wow. 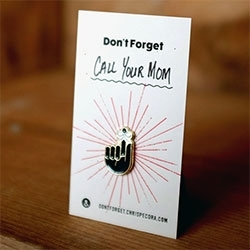 What an online store of randomness and their print/pdf catalog is pretty mind blowing as well. 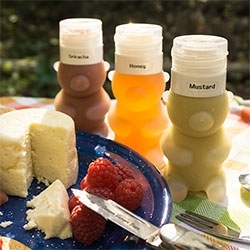 You can fill many a stocking with so much fun and usefulness here! 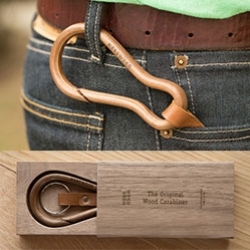 Hobowood makes bent wood carabiners. 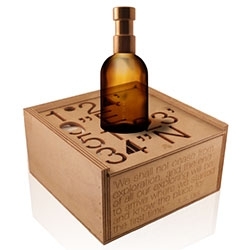 Lovely packaging details. 17 layers of pressed wood veneers, molded and shaped by hand by Xabier Ferro. 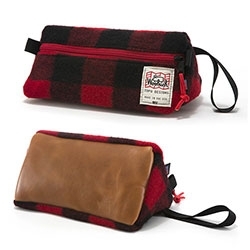 Topo Designs x Woolrich Dopp Kit. The Topo Dopp we love, with a cozy Woolrich twist. 100% Woolrich wool outer, leather base, coated pack cloth liner. 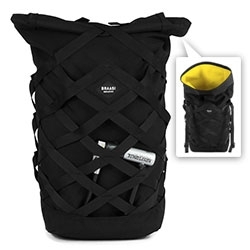 Braasi Industry Wicker Backpack - Loving the patterns of the adjustable webbing and popping yellow interior. 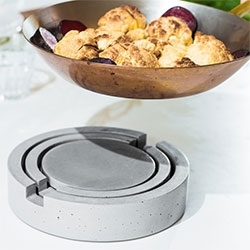 BioLite CampStove Carbon Edition! 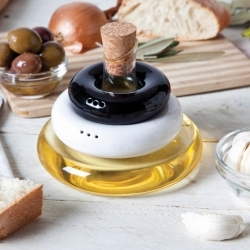 1000 all-black stoves have been produced, each stamped with a unique ID number in the series. 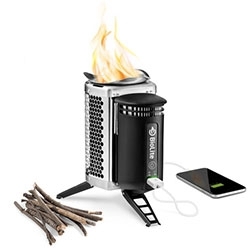 Charge your phone and cook - all powered by found twigs and sticks! 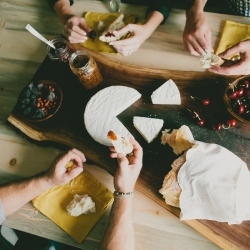 The Azure Furniture Co - Introducing the Rustic Walnut Serving Board. Hand shaped from 100-year old logs, this piece is sure to make a statement at your holiday parties. 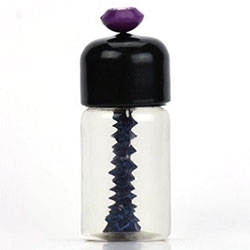 The Thinker and The Nano Ferrofluid Displays have permanently magnetized bolts inside to make it even more mesmerizing than your usual ferrofluid experiments! SeaVees Essential Escape Kit - A California Getaway Bag! 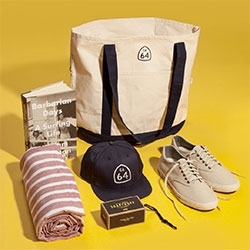 Includes Gift Card (for a pair of your choosing), Apolis Beach Towel, barbarian Days book, Byrd Soap On A Rope, CA-64 Hat and Tote, Sticker, and Greetings From California Postcard! 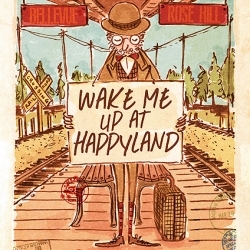 "Wake Me Up At HappyLand" is a short, (almost) wordless picture-book about a man traveling the world in search of HappyLand. The Light, sculpture by artist Sarah Beck, honors the final days of the tungsten light bulb, which will no longer be produced in North America as of 2015. 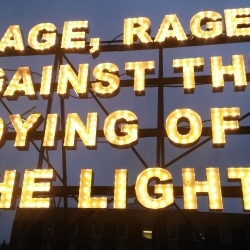 It remains on view until all 360 light bulbs burn out, near the end of 2015. 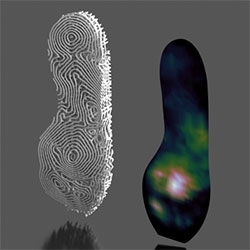 Nervous System is working with New Balance to develop functional 3D-printed midsoles for performance running shoes creating proprietary systems to generate midsole designs from pressure data from runners. 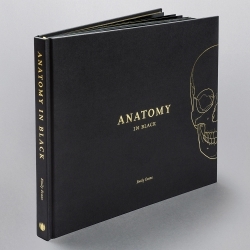 Anatomy in Black by Emily Evans is a sophisticated and educational coffee table book for anatomy lovers done entirely in black and gold. This gorgeous book contradicts everything an anatomy text has been —elevating it as a thing of beauty and prestige. 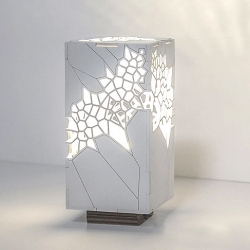 This Japanese-style organic Voronoi cellular structure light is Made of laser cut Plywood by Mariam Ayvazyan. 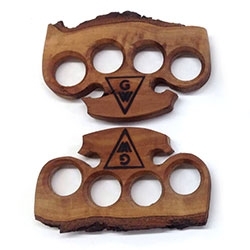 Gopherwood Designs Knuckle Dusters - made of locally sourced central California coast woods. 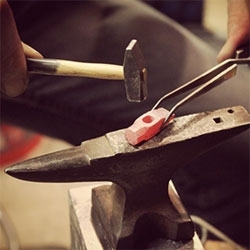 Marco Terenzi's miniature tools are incredible, FUNCTIONAL, works of art! His instagram is pretty mind blowing as well. 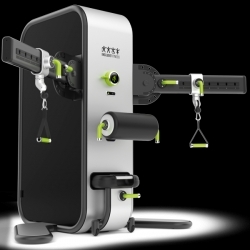 IncludeFitness - A next generation fitness platform that pairs inclusive fitness equipment with cloud-based software eliminating both physical and cognitive barriers. 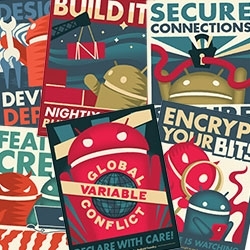 IDEAS FOR THE BRAVE (IFTB) is a submission-based, open source platform for brainstorming. It is a call for brave ideas from within and beyond the walls of ICRAVE, encouraging designers to dream, invent, and innovate. 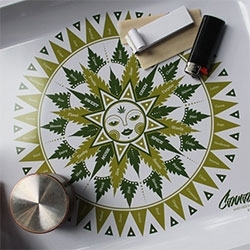 Cannabis Flower Olfactory Chart Serving Tray - Roll up on the couch with an illustrated tray pondering the spectrum of cannabis flavor and odor. Her notes, arranged by by similarity, make her a great copilot for exploring the olfactory landscape. 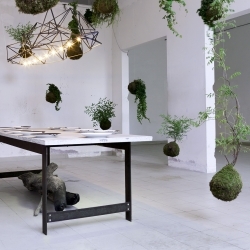 Antivegetativa, immersive installation by Davide Delia in the Ex Elettrofonica Gallery, Rome, Italy. 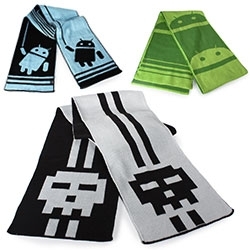 Diesel Sweeties Pixel Skull and Android Scarves! 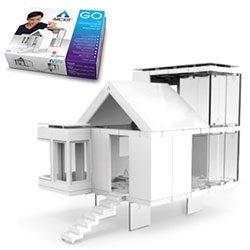 ARCKIT is a freeform model making system. 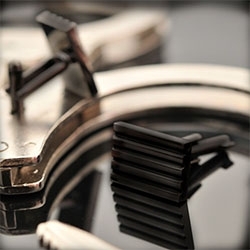 The system uses interconnecting components that are completely modular and based on modern paneled building techniques. 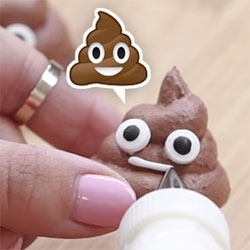 VIDEOPile of Poo Emoji Chocolate Meringue Cookies from Nerdy Nummies. 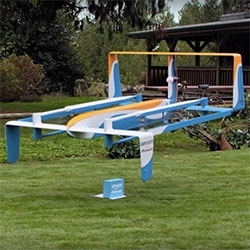 VIDEOAmazon Prime Air - could this be our future? Packages in 30 minutes or less delivered by drone to your yard's landing spot. Fun video featuring Jeremy Clarkson. 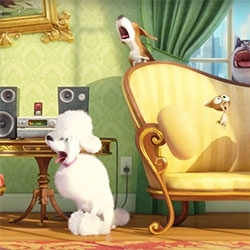 VIDEOThe Secret Life of Pets - animated feature from Illumination Entertainment coming summer 2016. The Trailer and Holiday Greeting are adorably hilarious! 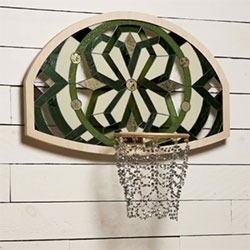 Literally Balling Basketball Goals... complete with stained glass backboards and nets made of gems by San Francisco based artist Victor Solomon. 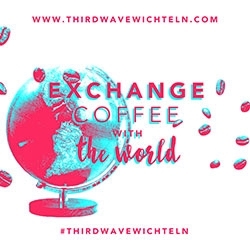 Third Wave Wichteln - the international specialty coffee exchange is back! The 3 Germans are hosting it again for the 3rd year. Enroll by Dec. 4th, if you want to exchange coffee with the world. Handy Utility Finger Knife - Titanium nitride coated steel blade is affixed to a durable aluminum band. 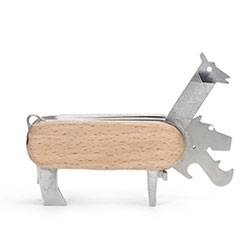 For a vast variety of uses, especially cutting twine. 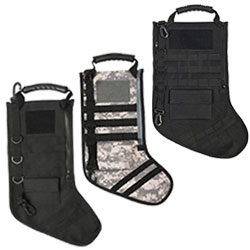 RUCKUP Tactical Holiday Stockings - MOLLE webbing, velcro panel for patches, rubber carry handle, swivel carabiners, zip pocket, mini pouch and more. In a range of colors and camo. 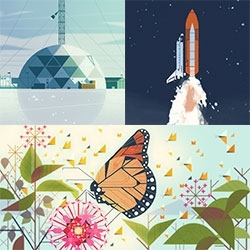 Alpine Modern First Edition Sticker Pack - Features prints found in their Café in Boulder. 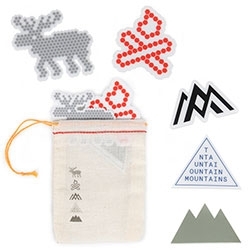 The iconic hex moose, hex campfire, AM logo, Typographic Mountain and Mountain Icon. 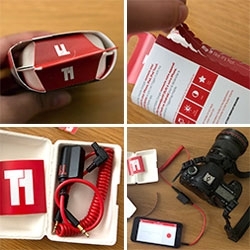 FEATUREDTriggertrap - app and dongles to turn your phone into a controller for your camera! Timelapses made easy. Whistle, clap, apple watch and more to control your shutter! And the packaging is even better than you'd expect. 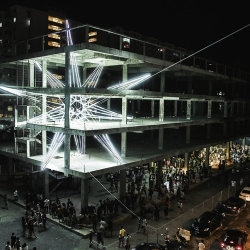 Jun Ong's Five-Storey Star Installation pierces the structure of an unfinished building in Butterworth, Malaysia. 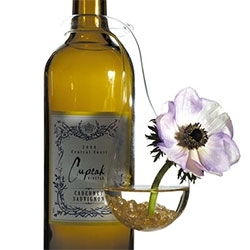 Clara Hanging Flower Vase... perfect addition to take that wine bottle gift to the next level! 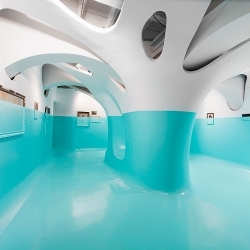 Made of glass by Hofland. 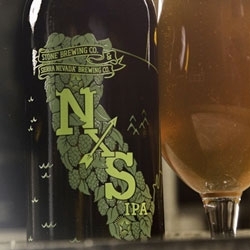 Stone & Sierra Nevada NXS IPA: A California collaboration blend of Dry-Hopped IPA and barrel aged IPA. 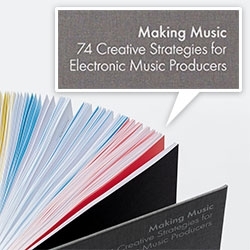 Fantastic graphic for the collaboration!